Logo of the Lyon-Martin Health Services. On January 25th, the Board of Directors for Lyon-Martin Health Services announced the clinic would be closing its doors—unless $250,000 could be raised to keep it open. Since the announcement, over $230,000 dollars has been raised. The rapid rate at which this emergency donation fund has accumulated—a fund which could not have been built so quickly without the hard work of many individuals devoted to preserving Lyon-Martin’s mission, including activists here at Mills—makes it seem likely that the clinic will remain open after all. Although it seems the closure will be avoided, the Campanil staff still find it important to express our support for those fighting to keep Lyon-Martin open, as well as why we, too, believe it is crucial for the clinic to remain open. Named after lesbian couple Phyllis Ann Lyon and Dorothy “Del” Martin, the clinic was founded in 1979 by a group of medical providers and health activists as a clinic for lesbians to receive affordable and non-judmental health care. Over the years, it has come to serve other members of the LGBTQ community—most notably, members of the transgender community—as well as many people unable to afford healthcare from large corporate health providers such as Kaiser. Of the over 2,500 patients they served in 2010, 84% lived below 200% of the federal poverty level according to a newletter released by the Lyon-Martin Board President. Additionally, 42% of patients are queer-identified, 33% are people of color, and 17% are homeless or marginally housed. Last year saw the closure of another San Francisco clinic focused on serving LGBTQ individuals and those without access to health care otherwise when New Leaf Clinic closed in October. If Lyon-Martin closes, many of their patients will have nowhere else to turn for services. Those who are not LGBTQ-identified may not understand the difficulty of receiving adequate treatment for these individuals at a facility which is not designed to meet their needs. Although “homosexuality” has finally been taken off the medical books as a psychological disorder, transgender individuals must still undergo a pathologizing diagnosis (“Gender Identity Disorder”) to receive treatment like hormones or surgery. At Lyon-Martin, these treatments were available with less hassle for trans patients—the clinic provided many patients with hormones which these individuals might have otherwise had to buy off the street (as the Board President’s newsletter also states), as street hormone prices are often much cheaper than usually charged by clinics. Lyon-Martin provides care for many marginalized, disenfranchised individuals who likely will have a hard time receiving services if its doors really close. 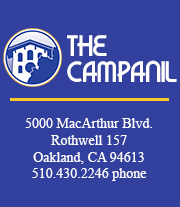 The Campanil staff strongly believes that everyone deserves equal access to health care, regardless of gender identity, sexual orientation, race, financial situation, or ability. We strongly support Lyon-Martin, their mission, and advocates for LGBTQ health care everywhere. Our staff urges you to get involved by donating online at lyon-martin.org to ensure the clinic will raise the funds it needs to remain open. Thanks for the amazing coverage, Campanil staff! We’re hoping to get to $500,000- So please keep donating!